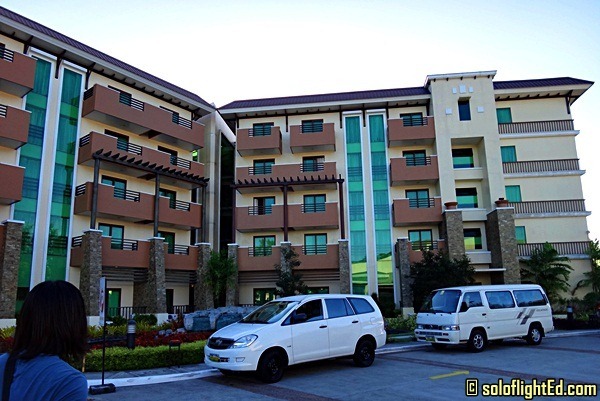 Formerly known as Hotel Vida, the Widus Resort and Casino hotel in Clark, Pampanga was the last place we checked in during our Lakbay Norte 3 trip. This was a nice and relaxing place to cap off our eight-day adventure to different parts of North Luzon. To be honest, I didn’t expect a lot from this hotel. I was just happy to rest after a long day of pampering. 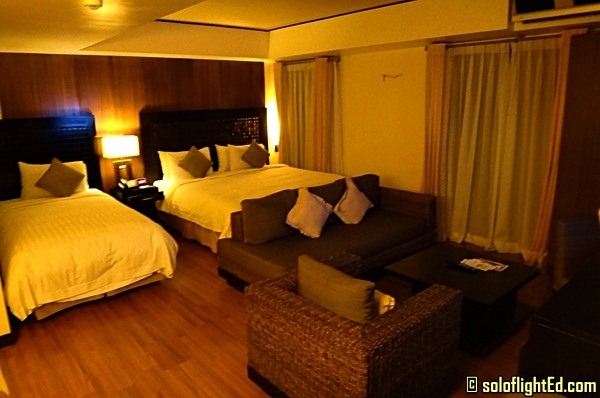 But when I saw our King Bed and Single bed room, I was amazed. A studio-type flat with spacious Living Room with Trundle Bed, Toilet and Bath with Bathtub and 8″ Shower Head, 32″ LCD Cable TV, 6 cu. ft. Refrigerator, Microwave Oven and Balcony. It exceeded our expectations! They have a uniquely-shaped swimming pool with slides and waterfalls which we weren’t able to use since we didn’t have much time. You can also stay in shape while on vacation with the hotel Vida Gym which is located at the ground floor of Wing C. They have a variety of equipment available to suit your cardio and strength training needs. 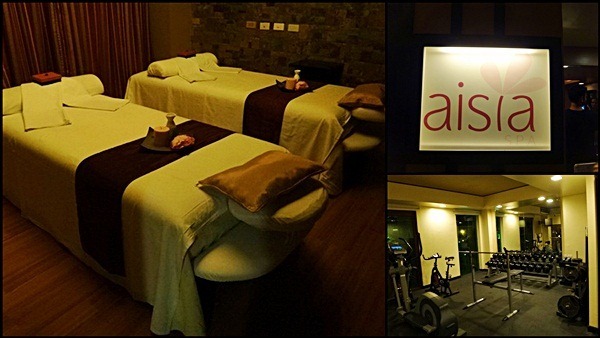 If you’re too tired and you want to relax, you can spend an hour with the spa services offered at Aisia Spa. 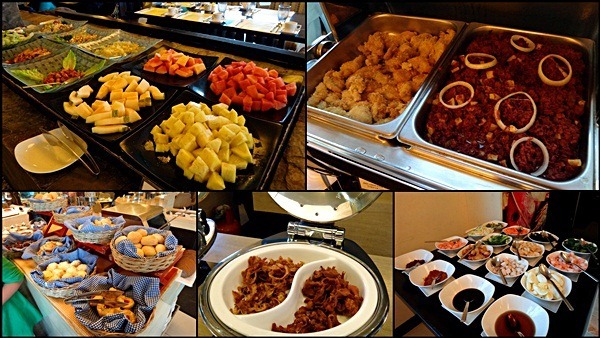 We had our complimentary breakfast buffet at the SALT Coffee Shop the next day. With a wide selection of local and international cuisine, I resorted to feasting on fruits again since we’ve been eating non-stop the past days. 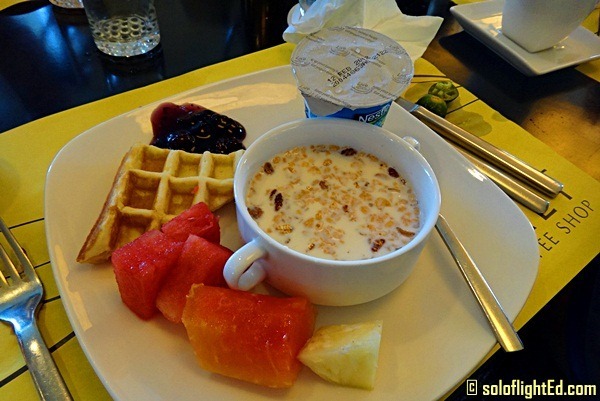 The restaurant is open from 6:00 AM to 10:00PM. I’ve been wanting to take my family with me when I travel and I’d like to get a family cruise holidays package someday but for now, spending a night or two in Hotel Widus seems like a good vacation to plan for. This was our last night so we made the most of our stay. We bonded with each other over boxes of Nissin Yakisoba and other snacks from the trip. We also had a fun time playing Pinoy Henyo, a guessing word-game. Everyone was in the mood to enjoy and maximize the remaining time that we had left. Thanks for letting us use your room Hannah, Kara and Gael! For reservations and other details, you may visit widus.com. You can also like their page on Facebook: facebook.com/widusresortcasino. 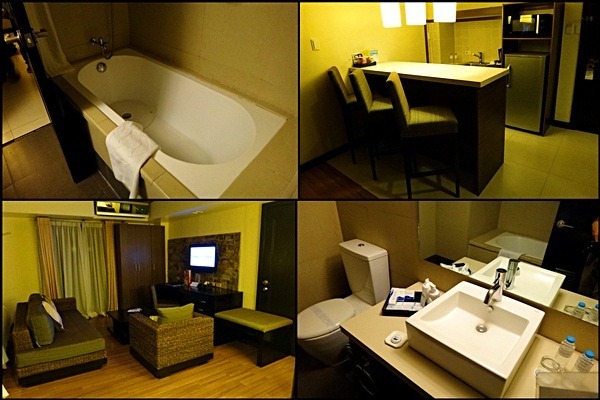 The hotel is pretty much like the hotels in u.s.. room, amenities, cozy atmosphere, the place! 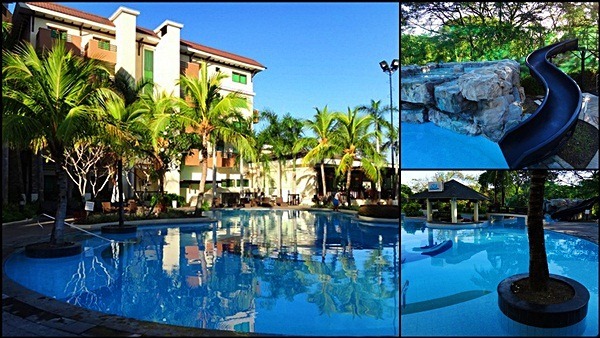 though i havent been there, being a travel agent helps me a lot in distinguishing good hotels. i envy you ed, for now upto pictures lang muna ko. heheh! My home town!!! Next time go to C's pizza OR Milas sisig in Angeles! nom nom. @Rachelle: haha minsan lang ako napapadpad sa mga ganito. thanks Rachelle! @Kara: haha, that's why i picked it. thanks for taking the photos. It would be nice to create an entry out of that night alone, but I think we need to censor some parts. haha! @Char: Thanks for the tips char! ganda ng kwarto at kakarelax nga diyan. kung minsan mas ok na di dala ang camera at magpahinga lang. pero di maiwaisan lalo na kasama mga kwelang kaibigan. heheh! Lucky YOU! are you always crossing your fingers? haha nice place to have party! @dong ho: sarap din ang kain. mabuti na lang din masaya talaga yung mga kasama so grabe ang puyat (though nakatulog ako ng maaga) hehe. It looks like you had a crazy, fun time. That room just look so cool. And you have to like a place that has a gym inside. I always try to take advantage of that when I stay at a nice place like this. nice 🙂 sana my chance din akong makapag lakbay norte ..
@Steve: Yes we did! We were too tired from the trip but we made sure to really have fun since this was our last day of the trip. @Rachelle: kaya yan! it's a yearly affair so you can apply for next year! @Victoria Vicente: Hi po! Thanks for reading, you have a beautiful hotel! Hope to drop by Widus one of these days when I get back to the Philippines!